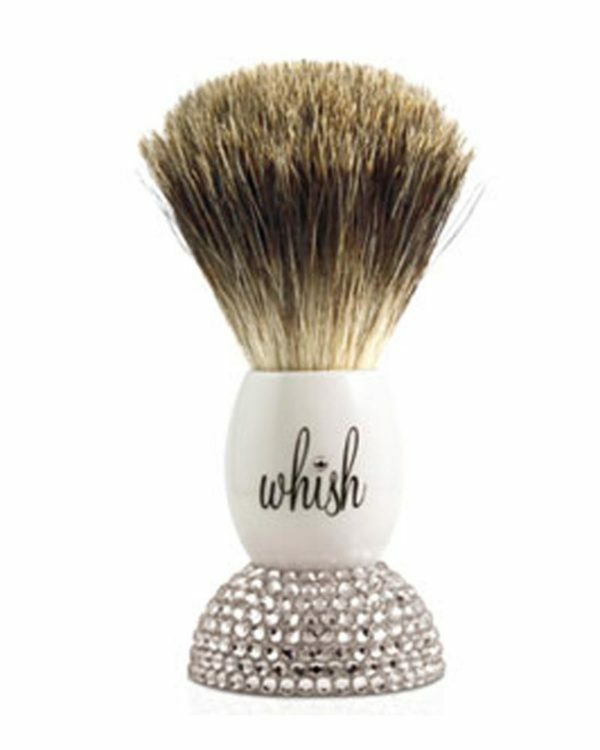 Wonderful Shaving brush for the body. With Swarovski crystals. Each brush is handmade in England and entirely made of fine badger hair. These crystal soft brushes turn shaving rituals for women, who have a much larger body surface to shave than men, into a great pleasure. The story behind it: a woman stole her husband’s European shaving cream and shaving brush. Afterwards she claimed to have experienced the best shave of her life – immediately a new business idea was born. Her aim: to bring luxury and comfort into women’s shaving routines. This high quality natural material feels comfortable, is flexible and guarantees a smooth and luxurious lather, especially when used with shaving soap. The brush has a great massaging effect. It is machine-made, with colours ranging from brownish-grey to black. Circular motions of the bristle’s fine tips lift the hairs and provide a thorough massage. That will not only completely change your shaving experience, but also improve your skin texture. If cared for it adequately (rinsing it thoroughly and allowing it to dry), your shaving brush will last for many years and enrich your shaving experience. Carefully rinse your brush with warm soapy water before you use it for the first time. After every use remove lather and soap residues by washing it lightly in water. Remove the lather after ever use, as particularly soap residues can damage the fine badger hair and significantly reduce the lifespan of the brush. Dry the brush by shaking it in a hanging position in well-ventilated locations (no closed bathrooms). 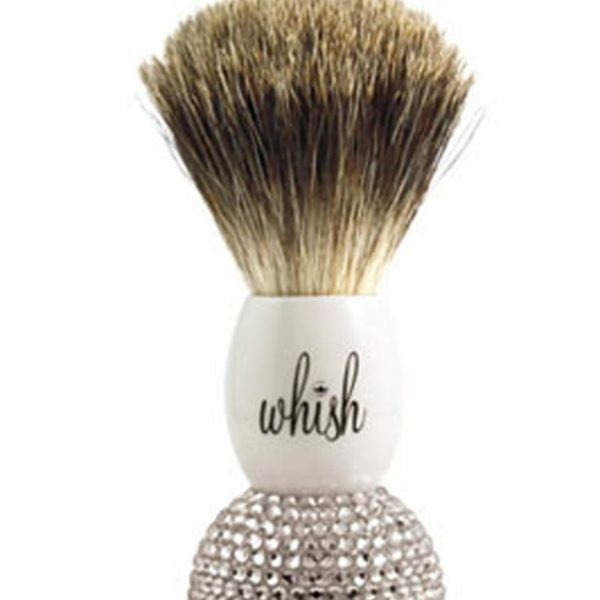 Therefore a wide range of shaving brush stands is available.